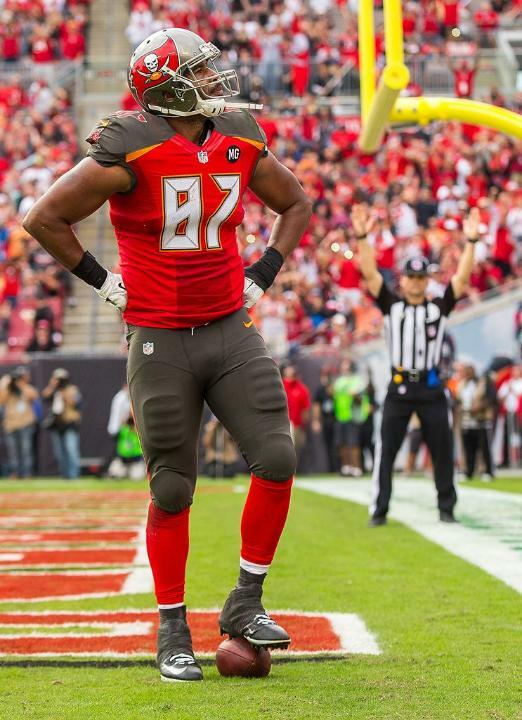 BUCS: McCown 5-39, Sims 8-23, James 4-16, Rainey 6-14. 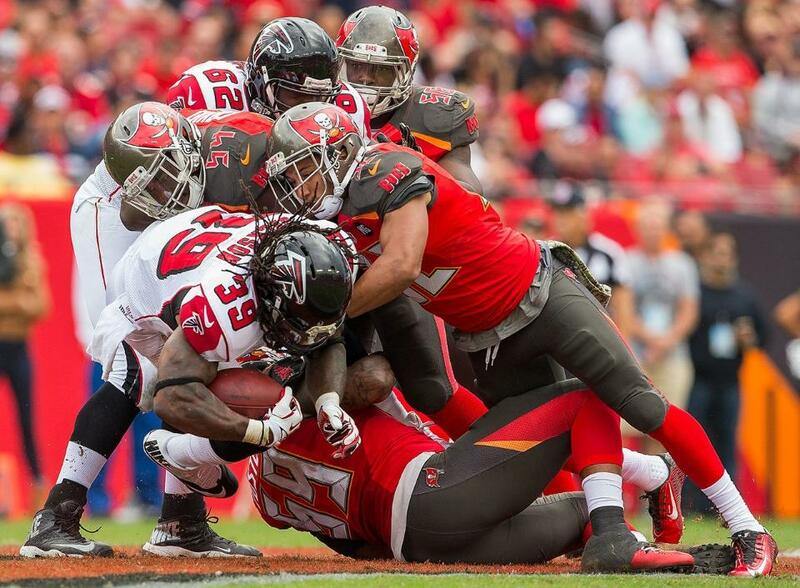 FALCONS: Jackson 16-81, Freeman 3-16, Ryan 3-9, Smith 4-3, Rodgers 1-1, Hester 1-0. 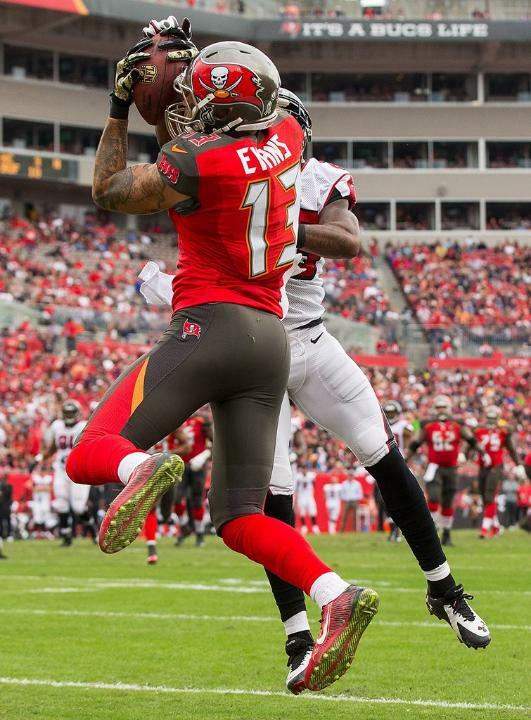 BUCS: Jackson 8-75, Evans 7-125, Seferian-Jenkins 5-30, Rainey 4-42, Sims 2-17, Murphy 1-12. 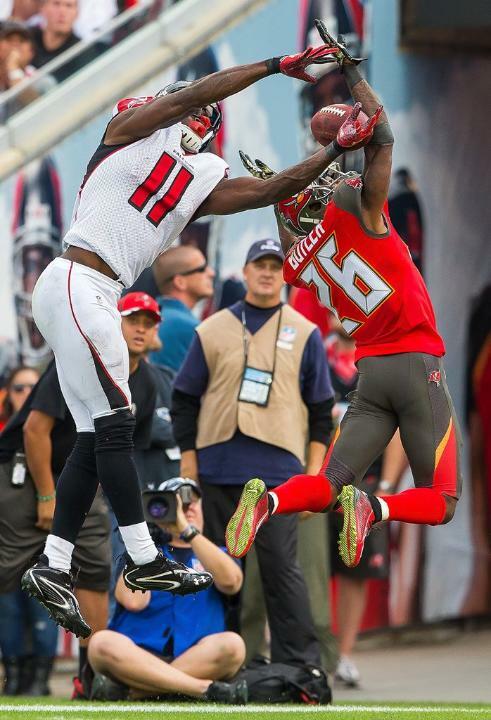 FALCONS: Jones 8-119, White 6-72, Jackson 2-14, Rodgers 2-11, Hester 1-5, Freeman 1-(-2). FALCONS: Lowery 1-0, Ishmael 1-0. 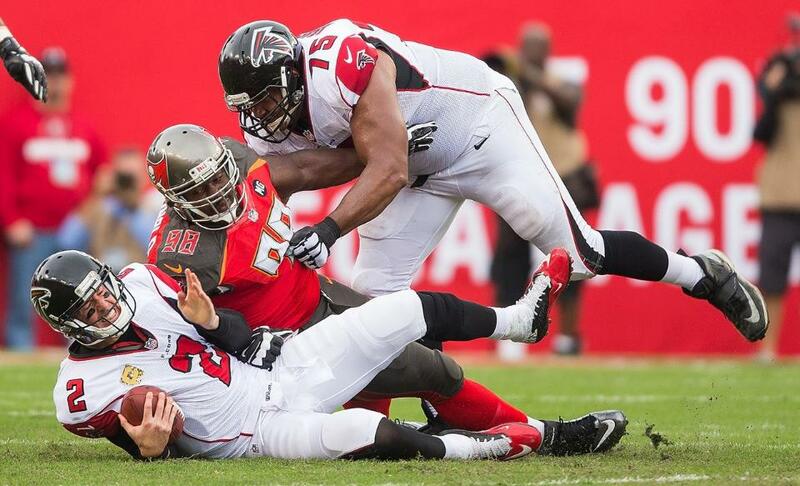 FALCONS: Umenyiora 1.5-8, Biermann 1.5-7, Babineaux 1-5.